Over time, I’ve been deeply moved by the speech and comments of Dr. Oby Ezekwesili which had served as inspiration and hope for a new Nigeria. Given the political wilderness that our nation has been trapped for years, the sense of hope and inspiration generated by Ezekwesili speech at the recent APC Road Map Summit, is even more profound today. Public service and politics in Nigeria are dominated by professional politicians who are in the business for their own personal gain and power. The time has come to recognize that someone has a special ability to ignite or reignite faith and belief in ourselves, to capture our vision, imagination, and our highest ideals that Nigeria could be a great country. At a time when our nation is bankrupt of patriotic leaders, when a person with such a rare patriotism comes along, we need to put aside our ethnic and partisan politics and embrace such a person. We have that kind of person in Ezekwesili. In my opinion, none of the aspiring presidential candidates possess the knowledge, experience, strength, passion, patriotism, character, and judgment needed for a change in the leadership of our nation like Ezekwesili. She is perfect to be Nigeria’s first woman president. 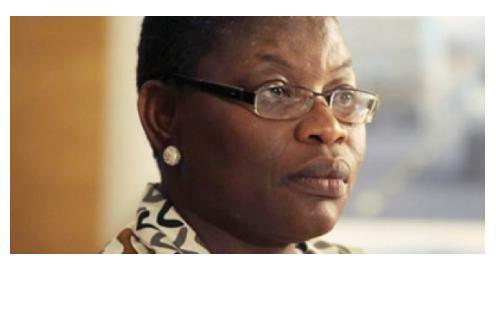 Ezekwesili is the Senior Economic Advisor for Africa Economic Development Policy Initiative Open Society Foundation. In this capacity, she is the senior advisor to a number of economy reforming Presidents of African countries and their cabinets on their economic development strategy, policies, and implementation. A former Vice-President of the World Bank, Ezekwesili had served in various capacities in Obasanjo administration as Minister of Education, Minister of Minerals, and Presidential Aide in charge of Public Procurement Reforms. As expected, Ezekwesili’s address at the APC summit was an inconvenient truth. She couldn’t have chosen a more perfect place to deliver a stirring message. She has been a dignified and honest critic of the government and our political system. She has spoken eloquently about the problems of our country and proffered solutions. Nigeria needs a president who understands that her responsibility is to articulate a vision and encourage others to achieve same, a president who holds herself and those around her to the highest ethical standards, a president who can lift our spirits, and make us believe again that our country needs every one of us to get involved, and a president who appeals to the hopes of those who still believe in Nigeria, and those around the world who still believe that Nigeria is the giant of Africa. Like all history, the history of our political enterprise will be defined by change. Change has become imperceptible. At other times, change has been bold and dramatic. Great triumphs and historic firsts highlight pioneer’s foray into any endeavor. 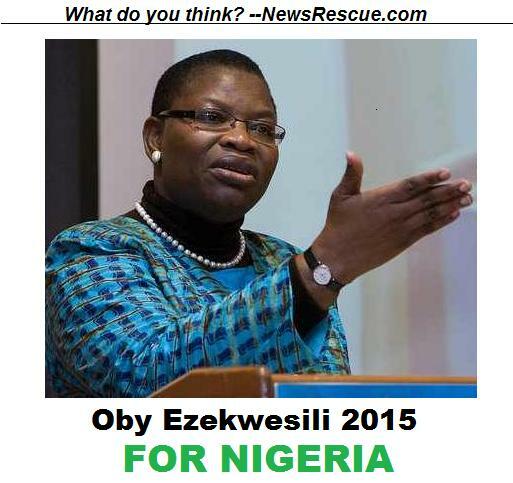 Ezekwesili as Nigeria’s first woman president would provide experience and impetus for a new group of reformers. Ezekwesili is not just a Nigerian, she’s a special talent, well-educated with experience rooted in reform backgrounds with specialized training, lengthy resumes and increasingly elective experience. Concerning the issues that faced our nation, Ezekwesili has become a spokesperson or a “surrogate representative” if you will, for all Nigerians. Her belief in the social, political, and economic equality shaped her thoughts and speeches. She has taken on a special burden to speak for all because we have very few people who could express our concerns and fears adequately and boldly like she does. By honing her messages and by cultivating political action network to support her campaign for political reforms, she has become powerful and a force to be reckoned with. The best single word to describe Ezekwesili’s address to the APC chieftains might be the word “passion.” Every pioneer needs a passion. Pioneers cannot be satisfied with mere maintenance, for they have nothing yet to maintain. They create from nothing. The common people often view them as eccentrics – but their passion attracts other pioneers. Ezekwesili boils with passion and this is evidenced in all her speeches, and could hardly stay quiet. She has been a catalyst of fiery controversial speeches on our economy, political arrangement, the ruling elite class, government’s malfeasance and profligacy. She feels consumed with her mission. She possess a magnetic temperament and wiring. Like a magnet, she repels some but attracts a huge following. She possess a strong sense of justice. This hunger of justice drives her – and it shows in her speeches. She feels dissatisfied with anything but action. As a doer, she doesn’t want people to merely talk but act. Her speech to the APC could be summarized as follows: Leadership means discomfort. If you’re going to be an effective leader, you must live outside your comfort zone. Leadership means dissatisfaction. Dissatisfaction is a tool that moves us to greater things and higher ground. Leadership means disruption. The status quo is never the goal of a leader. Disruption is our constant companion. Our country is full of needy people, overflowing with men and women who know they’re missing out on something, bursting with hurting individuals who come to us with hands outstretched. Our hard-working, innovative, and imaginative youth have become hopeless, deflated, and disengaged. A leader owes it as a solemn duty to protect and provide for the needy and the vulnerable in our society. First time ever in this season of a major dollop of alienation and anomie, I have found someone who inspired me and a new generation of Nigerians in Ezekwesili. Gusau, Mark, Dasuki, Arogbofa: Babangida is Back!